Swimming upstream. Betcha thought that was a metaphor for parenthood, right? Nope. Not today. 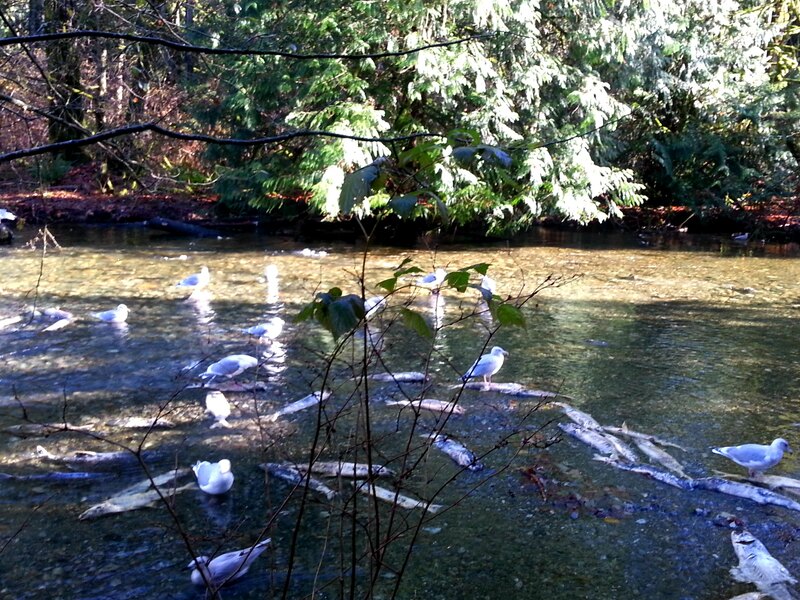 Today, we went to catch the salmon run at Goldstream Park, a provincial park not far from home. From late October to early December, thousands of salmon return to this spawning stream from the ocean, fighting their way upstream through rocks and rapids, to lay and fertilize eggs, and then die. It’s late in the run, so there weren’t too many brave fish still pushing on – most were belly up. It was a seagull all-you-can-eat buffet. Bean was totally unfazed by this display of death. I guess when you’re little, and you’re safe, and no one around you is worried, you just accept that a river full of dead fish is a normal thing. And it is – it’s only when we get older that we realize this spectacle, though natural, is a bit gruesome. After the obligatory viewing of dead fish, we took advantage of this rare unscheduled Saturday and lingered in the park. 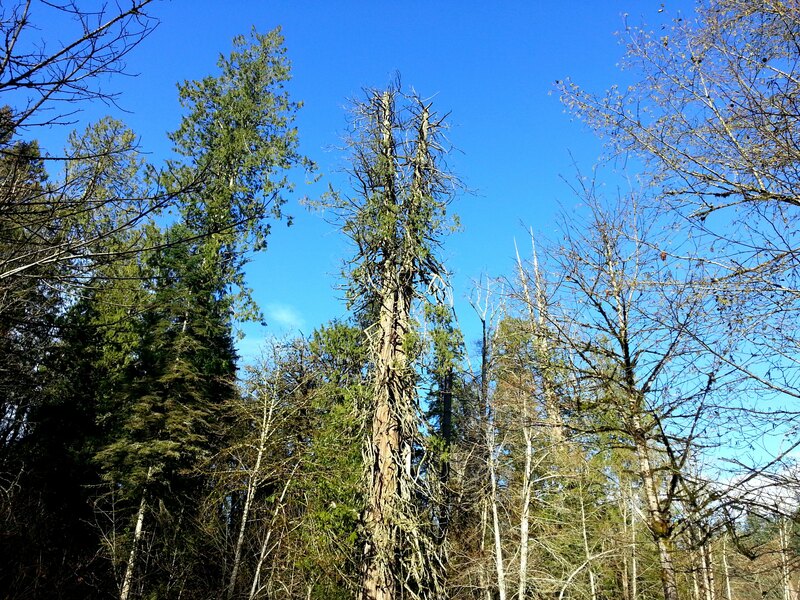 We enjoyed the unusual bright November day. And we weren’t alone. 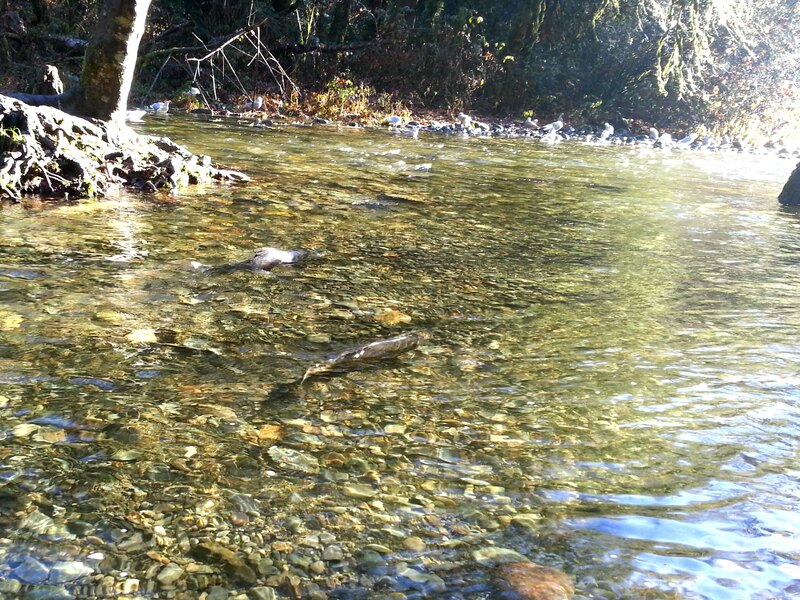 In our neck of the woods, the salmon run at Goldstream is a yearly pilgrimage for many. School groups, families, tourists – the place is packed. There were two kids’ birthday parties under the picnic shelter today, which seemed odd. I’m sure the kids had a great time; it’s just that the dead fish stench didn’t strike me as particularly festive. 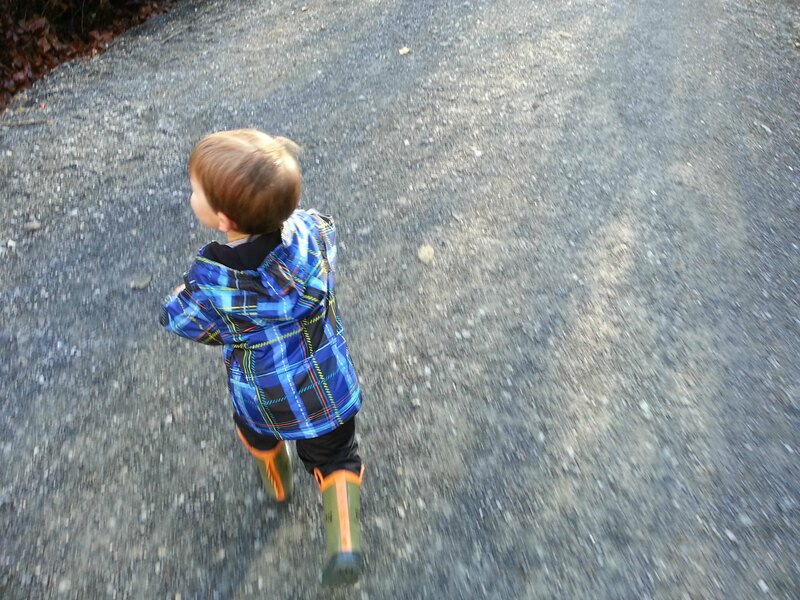 Fresh air, beautiful weather, a picnic lunch, no meltdowns. And the icing on the cake was two sleeping boys in the car on the way home.